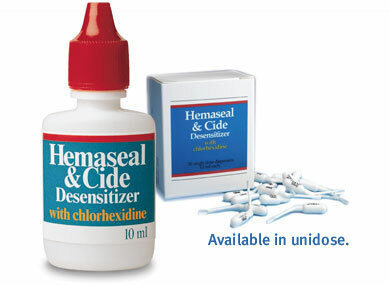 Hemaseal & Cide with 4% chlorhexidine. It's four products in one bottle. The fastest and simplest way to make custom impressions for temporary crowns. When making temporary restorations, you can be in and out of the patient's mouth in 30 seconds with Matrix Buttons from Advantage Dental. Simply soften a button in hot water. Then form it around the tooth (or teeth) to be prepped. Blow air to harden. Then remove. It's perfect for making temporaries with our Matrix Buttons. Matrix Temp provides superb strength and fracture resistance, and its extended rubber setting phase allows removal from interproximal undercuts. Also, the thicker viscous consistency of MatrixTemp allows easy mixing and placement even without an automatic tip — a major cost savings. Its viscosity drives sharp, clear margins, too. Dr. Joe Pelerin - Wet-fingered Dentist, Inventor and CEO. 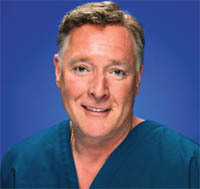 "Dr. Joe," as many patients call him, has been a practicing family dentist for over 30 years. Always on the cutting edge of dental technology, Dr. Pelerin is the creator of Hemaseal & Cide with chlorhexidine. Moreover, he invented the Occlusal Harmony Closed-Bite Impression System, as well as Temporary Crown Matrix Buttons. Watch for new breakthrough products invented by Dr. Pelerin coming soon. Behind virtually every great dental product inventor and CEO stands a highly capable woman. 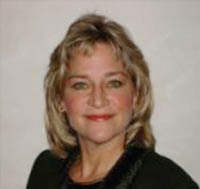 Ingrid Pelerin, wife of Dr. Joe Pelerin and president of Advantage Dental, is one such woman. She manages both the domestic and international operations of the company. Copyright 2012 Au-Shaw Dental Productions Inc.. All rights reserved.